The MC2 is a compact and easy-to-use hand-held documenting process calibrator. 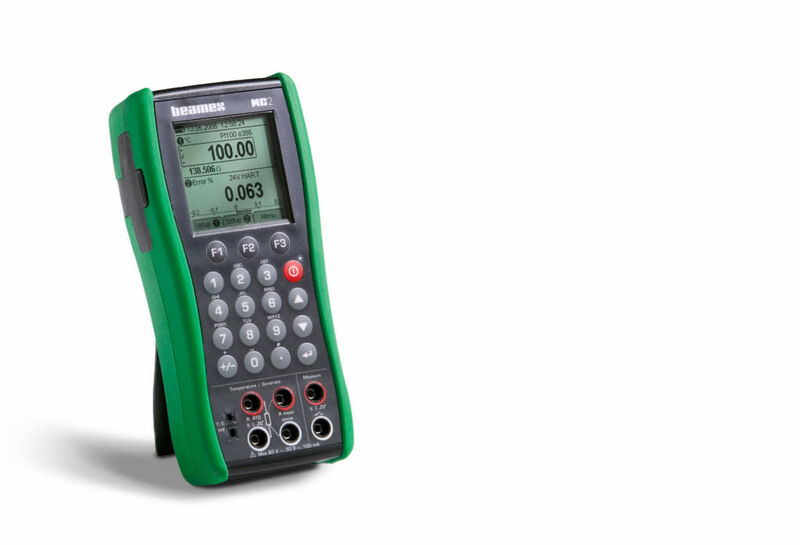 The MC2 is a compact and easy-to-use handheld process calibrator. It is available in two versions: temperature electrical calibrator (MC2-TE) and multifunctional calibrator (MC2-MF). The Beamex MC2 is now a documenting calibrator! Since the firmware 3.20 release in March 2019, the Beamex MC2 is now a documenting calibrator. 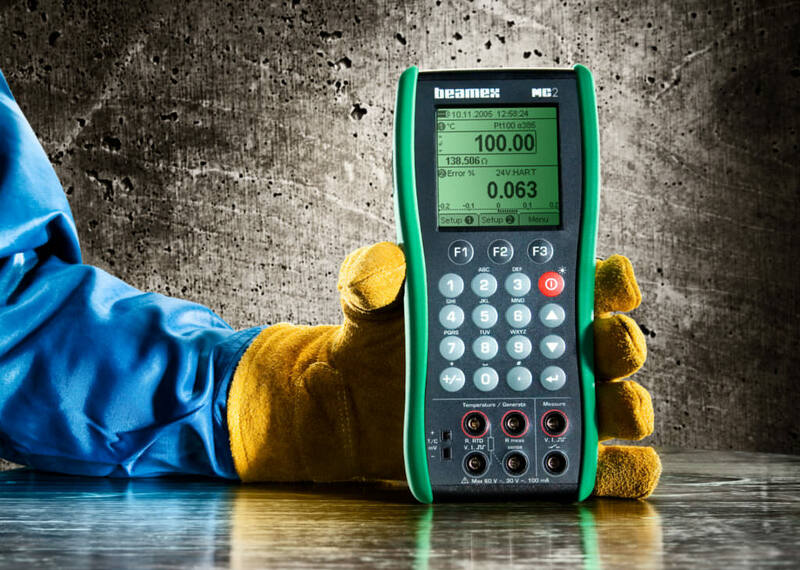 This means that it saves calibration results in its memory and communicates with Beamex LOGiCAL calibration software. 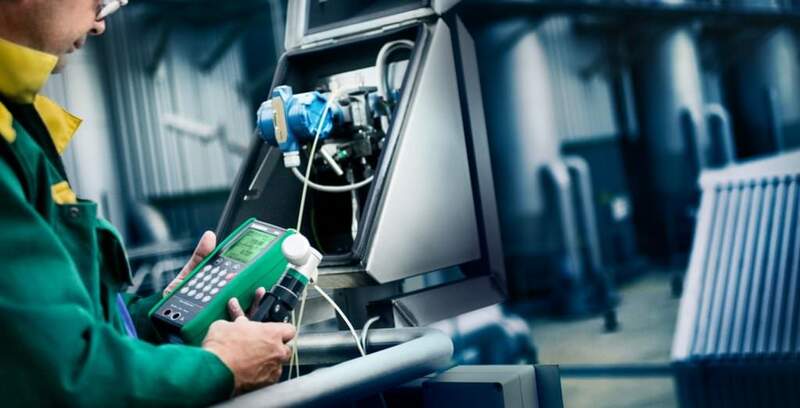 Using a documenting calibrator, there is no need for error prone manual entry of calibration results at any step of the calibration process. This saves you time and money and improves the quality of calibration results. Scroll down this page to see how you can update your MC2 for free to become a documenting calibrator! We made the MC2 a practical process calibrator that is easy to use, while remaining highly functional and accurate. Compact, lightweight portable calibrator with large graphical display, multi-lingual interface and full numerical keyboard. Calibration is fast and simple. The MC2 is robust and made for tough use with its impact protectors and membrane keyboard. The MC2 provides many configuration possibilities, such as both internal and external pressure modules. Each MC2 calibrator is delivered with a traceable, accredited calibration certificate. Make your existing MC2 a documenting calibrator for free! If you have an MC2-TE or MC2-MF model with serial number greater than 13000, you can now make it a documenting calibrator with the free of charge firmware update v3.20! Please note: MC2-PE and MC2-IS models are not upgradable. With the upgrade you can start using your MC2 with the free cloud-based Beamex LOGiCAL calibration software today! Click the button below to go to download center and get the upgrade now!